August Mazda is excited to offer this stunning 2013 Chevy Trax! Presented in stunning Night Fall Gray Metallic with premium cloth seats and interior Accents. Expertly detailed by our professional detail bay upon arrival, this stylish, sporty, and very well cared for Trax comes to us in impeccable condition! 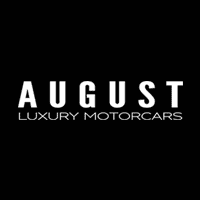 A 1-Owner vehicle which passes our stringent 120 point inspection making it August Certified. August Motorcars is excited to offer this amazing Camaro 2SS by Chevrolet,presented in stunning Inferno Orange Metallic over Ebony and Inferno Orange Leather Seating Surfaces and perfectly complimented by a Black Soft-Top. Expertly detailed by our professional detail bay upon arrival,this sporty,and very well cared for Camaro 2SS comes to us in impeccable condition from just one owner,with no accidents,a front end 3M protective wrap,and passes our stringent 100 point inspection making it August Certified.